Over the last few decades, the hockey world has been blessed to see some of the best talent compete on ice surfaces throughout North America. While the NHL is the destination that talented hockey players aspire to reach one day, most hockey players usually improve their skill sets by playing in various developmental leagues. Honing one’s skill is not only a tedious process, it is a delicate one as well. Despite the fact that talent can be squandered at any level of professional or semi-professional hockey for a variety of reasons, a number of developmental hockey leagues have managed to keep a strong reputation because of their ability to consistently produce professional hockey players. Regardless of which developmental league hockey players might find themselves in, the ultimate goal is always one that culminates in said player(s) making it to the NHL. Although the development level that a hockey player will experience will be different as they traverse various hockey leagues, Canadian and American junior and professional leagues are doing all that they can to prepare their incumbents with the skills necessary to be successful in the NHL. The CCHL was initially sponsored by the Montreal Canadiens in 1961 as the team wanted to have a development program from which they could select and sign certain individuals for NHL play. While team-specific signing and playing rights were ultimately ignored in the Junior A league, the Central Canada Hockey League began to flourish in the late twentieth century and actually had a number of NHL greats grace the league. Hall of Famers such as Billy Smith, Larry Robinson, and Steve Yzerman were part of the older generation of NHL players to make their way through the CCHL ranks, but the league didn’t stop aiding talent development as time went on. Current players such as Jimmy Howard, Claude Giroux, Patrick Sharp, and Martin St-Louis also competed in the CCHL before making their way to the NHL, and there should be little surprise as to why the Central Canada Hockey League should be considered one of the better developmental hockey leagues in Canada. Despite the fact that the CCHL only houses twelve teams in two divisions, the league has remained a strong staple of Jr. A Canadian hockey for five-plus decades and hasn’t shown any signs of weakening over the last several years. The NAHL is sometimes viewed as an alternative to the USHL for young hockey players, but the league is one rung lower than the United States Hockey League as the NAHL is considered to be a Tier II Junior A league. Even though the North American Hockey League might be one tier below the USHL, it is the oldest Junior A hockey league in America. While the NAHL might have a storied history as the oldest Junior A league in America, the hockey league has helped developed a number of quality hockey players over the last several years. Individuals such as James Van Riemsdyk, Ryan Miller, Cory Schneider, Ryan Kesler, and Patrick Kane are just some of the players to grace the NAHL over the years, and there certainly doesn’t seem to be a shortage of players developing within the league’s ranks every year. The Greater Ontario Junior Hockey League was founded recently (2007), but the Junior B league has been holding its own over the last several years. While the GOJHL might be a newly formed Junior hockey league in Canada, hockey fans must remember that many teams in the league were around for quite a while before the amalgamation of three Junior B leagues comprised the GOJHL. There are quite a number of similarities between the level of play that the GOJHL and OJHL offer to its prospective incomers, but the GOJHL has certainly ascended hockey league rankings in its few years since its inception. Despite the fact that the GOJHL is technically only six years old, the league has already made a name for itself in a short span of time as many GOJHL players go on to eventually play in the OJHL or OHL. As long as the GOJHL keeps on producing alumni such as Mark Scheifele and Tanner Pearson, the league will continue to flourish and have a big impact in the Southern Ontario area. The formation and consolidation of the OJHL might have been a more recent event in hockey-world happenings, but the roots of the Ontario Junior Hockey League stretch back to 1954 when the league was founded. After a dispute dissolved the Ontario Provincial Junior A Hockey League into two hockey leagues (CCHL & OJAHL), the two leagues reconciled and rejoined to form the OJHL. While the amalgamated OJHL decided to feature only 22 teams, the league has not failed to develop quality hockey talent over the last decade-plus. Players such as John Tavares, Ryan Callahan, Rick Nash, Cory Conacher, and Corey Perry are just a few OJHL alumni to have had success in the NHL. Even though the BCHL is considered by many to be Canada’s top Junior “A” loop, the OJHL is certainly not that far behind as it is constantly helping young talent develop their skill sets for future play. The BCHL might be considered to be the best Junior “A” loop in Canada, but that distinction does not come without merit. The British Columbia Hockey League was established in 1961 and has been developing hockey talent on a consistent basis over the last five-plus decades. Some of the more notable players to graduate from the BCHL and eventually make their way to the NHL are Brett Hull, Glenn Anderson, Bob Nystrom, Paul Kariya, Cliff Ronning, Tyler Bozak, Duncan Keith, and Jamie Benn. A number of other NHL players (Carey Price, Scott Gomez, Dallas Drake) also had BCHL roots before ascending to the professional level, and the hockey league’s reputation sure does speak for itself as it continues to help younger hockey players hone some of their raw talents. The United States Hockey League has been producing some of the best NHL Entry Draft talent over the last several years, and there is a reason that the hockey league is considered to be top tier. Even though the USHL is an amateur league, hockey fans should not let that title fool them as there is a plethora of talent that goes through the hockey league’s ranks every years. While the USHL went through a number of changes since its foundation in 1947, the hockey league has become the most competitive American junior hockey league. Despite the fact that the USHL only has 16 teams, the league has not failed to produce talented hockey players as Joe Pavelski, Tomas Vanek, Kyle Okposo, and Paul Stastny all played in the league before making the jump to the NHL. As NHL Entry Drafts pass by every year, it is becoming more and more apparent that such a bountiful amount of talent is passing through the USHL because of the opportunities that the league offers to its incoming youngsters. The NCAA has been a very popular destination for young hockey players hoping to get into the NHL one day. chosen to take the collegiate route when trying to break into the NHL. When it comes to depth, the NCAA sure isn’t a stranger as there are a total of 138 colleges and universities (spread out over three divisions) that compete in NCAA Men’s Ice Hockey. 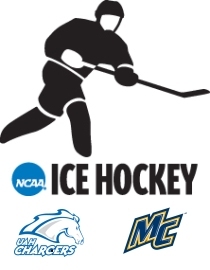 While Division III Men’s Ice Hockey in the NCAA can lay claim to having the greatest amount of conferences and programs, Division I Men’s Ice Hockey in the NCAA is just as stacked and powerful as its Division III counterpart. The NCAA offers its players some of the finest development programs around and has been viewed as one of the biggest potential springboards that a prospect could use to eventually gain entry into the NHL. Not only has the NCAA developed a very sizable amount of NHL players and prospects, the athletic association will continue to be a popular destination for young hockey players as the opportunities that the NCAA affords to its incumbents are not so easily matched. The combination of the WHL, QMJHL, & OHL is hard to compete with at any level. Not only are Canada’s “Big Three” major junior hockey leagues a popular destination for young hockey players, they serve as some of the best ice hockey developmental programs in North America. Over the last several years and decades, some of the best NHL talent has gone through the ranks of the Canadian Hockey League. Naming well-known alumni from each of the CHL’s three development programs would be an arduous task as there are a countless amount of NHLers that have played in the WHL, OHL, or QMJHL before being drafted and brought up by their respective NHL teams. There is no doubt that Canada’s major junior leagues have been helping young hockey players hone their skill sets for quite some time now, and it is highly unlikely that another major junior circuit will rival the likes of the CHL any time soon. 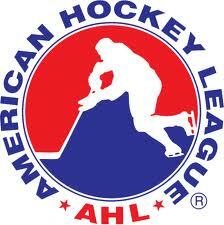 Formerly known as the East Coast Hockey League, the ECHL is widely believed to be a notch below the AHL. Even though the level of play in the ECHL might not be completely on par with that of the AHL, the ECHL is still considered to be a mid-level professional ice hockey league. The ECHL was founded in 1988 and currently features 22 teams and five divisions of play. Not only has the ECHL been going strong over the two and a half decades since its inception, it is also a frequent stop for many NHL hopefuls. While some players are shipped off for development in the AHL, the ECHL is also a popular stopping point for hockey talent as NHL teams might not have room to immediately place certain prospects at the AHL level. Over the years, a slew of talented NHLers have made their way to the NHL by proving their worth in the ECHL, and the league will continue to be one of the most recognized developmental ice hockey programs as long as NHL teams deem it fit to send their talent to destinations within the hockey league. The American Hockey League is usually viewed as the last stop for a prospect before an NHL call-up. The American Hockey League is commonly viewed as the last level of play where a prospect must prove themselves ready for NHL duties. While some prospects are shipped off to the ECHL for further development, the AHL is usually the last stop for prospects that are very close to being called up to their respective NHL club. Despite the fact that both the ECHL and AHL are semi-professional and professional hockey leagues respectively, the two leagues provide its players with an opportunity to complete their maturation before they are considered for any NHL duties. The AHL currently has 30 teams playing in six different divisions, so one can imagine the sheer amount of talent that passes through the league on a yearly basis. Even though hockey players complete a whole level of development before arriving in the AHL, the American Hockey League is still a destination where young hockey players can improve both physical and mental aspects of their game. While Shattuck-Saint Mary’s is not its own developmental ice hockey league, the prep school has been heralded as a Center for Excellence in various sports. Shattuck-Saint Mary’s was established during the mid-nineteenth century in Faribault, Minnesota and the school has established itself as one of the leading prep schools for young kids with big hockey dreams. The list of Shattuck-Saint Mary’s alumni is quite prestigious as Kyle Okposo, Jonathan Toews, Sidney Crosby, Drew Stafford, Ryan Malone, and Zach Parise all attended the boarding school before they were NHL-bound. Even though Shattuck-Saint Mary’s might not be considered to be on par with other hockey development programs, the school has been preparing lots of young NHL-hopefuls for the next level of play – whether it be in college or in the junior circuit. Other schools such as Culver Military Academy and Avon Old Farms also boast very strong ice hockey programs that have helped develop NHLers such as Jack Johnson, Brian Leetch, and Jonathan Quick. 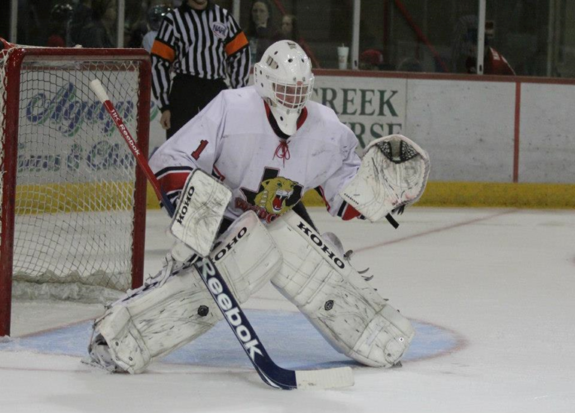 While prep schools are not considered to be their own ice hockey leagues, hockey fans must keep in mind that institutions such as Shattuck-Saint Mary’s, Culver Military Academy, and Avon Old Farms try to impart a specific knowledge on young hockey players so that these individuals can maximize their skill sets in the future.